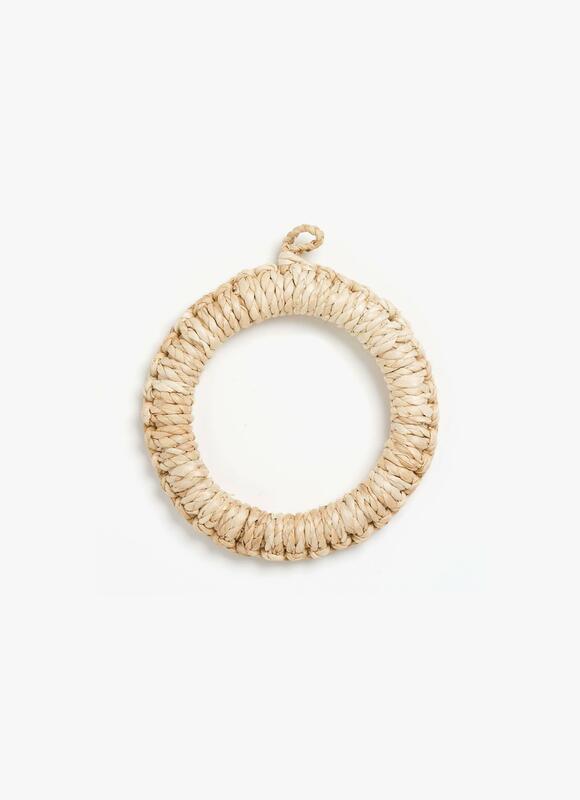 Traditional Japanese trivet handwoven from soft natural rush stalks. Great for placing hot pots and pans safely on tabletops and counters. With a small loop to hang it when not in use.